Hey, we're matched up for Cerulean Cup, I kind of forgot about it. I'm GMT -5, I'll be free from like 12-4 p.m today, and pretty much anytime past 10 p.m until I sleep. I'll probably be free a bit in the morning tomorrow too. What works for you? rby mt, gmt+8. 8pm my time on wednesday? I'll be around tomorrow for most of the day, message me here or if you can see me, contact me on PS! Hi, I'm your opponent for the next turn of the RBY Master Thing. Sadly I will not be able to play before wednesday 21h-0h (gmt +1), but i'm free the rest of the week. We should be able to do this easily then. Contact me on Discord (Sceptross#7340), but I should be available pretty much whenever. Did you play guys? The deadline was yesterday. Hey! I'm about to get on a 22 hour flight to Hong Kong and will be traveling throughout China for the whole week. You down to do our MT set the night (GMT-4) of October 7th when I get back? I had already asked yesterday. That works, see you tomorrow! just a heads up, it's going to be closer to 8pm. See you tomorrow! Sceptross and tjdaas like this. Eseque and ErPeris like this. Hi! RBY MT. GMT+2. I can play Thursday or Friday at 10 pm. Potentially Saturday or Sunday as well. How about your availabilities? Cool! Thursday 10 pm it is then. I'll be on ruins of alph. Hey! We are opponents for the RBY MT. Deadline is Monday night, but I can already tell you that my weekend is already completely planned out and I cannot/don't want to squeeze a bo5 somewhere in there. I'm GMT+2 and evenings are generally best/the only time I can really play. I can probably give you next Thursday, 10 pm GMT+2? I'm busy for the entire weekend too so no worries. Thursday seems good, I can't guarantee so early I'll be available but I probably will. Where I go I do not know, I only know the place I've been. Dreams they come and go, ever shall be so, nothing's real until you feel. you also do not know where you have been. Sure you have memories, but they could be implanted into yourself by another species. Things you feel can also not be real, we could be in an illusion and all asleep at this moment. Dreams could be our reality, or our dreams could also be closer to reality but not quite reality. Nothing is real for certain, other than the emotions we feel and the thoughts in our head. when do you want to play for ppl? im utc -4. thursday or weekend works best for me. 5-6PM works best :) 5PM your time, 10PM mine then? sounds good to me. smogtours or pp server? Due to a serious in real life problem, I'll be away for an undetermined time. Don't dq me from any tours. See you in some time. Hey, RBY MT when? GMT+1, mid test week rn so would prefer to play fri/sat evening my time if that works for you? The later the better. Saturday evening seems fine. Time? Sorry, I completely forgot to answer you, rough week. If you are still available, I'd rather play a bit later, if you don't mind. PPL player signups are up! Sign up, invite your friends, invite your girlfriend, invite your dog, invite everyone! So round 2 is us huh? At home most of the day today so I can play. Gmt -5 (2:11 pm at the time of posting). Normally I can play weekdays between 12-1pm on my lunchbreaks or 8-11pm at night. Yup, apparently :P Today it's hard for me already. I think I'd rather play on a weekday, in your lunch break (if that's really not a problem for you). We can also play next weekend, it's still on the deadline. If weekday, any day but Monday should work. Weekend I should be available whenever it's best for you. Tournament question... I can’t find it anywhere; does using explosion/selfdestruct to win for my final pokemon count as a tie for the purpose of this tournament? hi man, we are paired up for paraslam tour. I'm gmt+8, when can you play? Can we all take a moment to reflect on the fact that we needed 1 year and 3 months to figure out that the crit chances in SM dropped 50%? Disaster Area and tjdaas like this. Okay, I'm going to have to have a meeting because of my master's final project so I won't be able to do it at 4PM. Could we please do it a little bit later? Hey, when No Tauros, I'm GMT? I can only play at night on Friday. hiya, we are paired for rby 2U new frontiers. I'm gmt+2, when can you play? Ugh, I forgot I was on an alt, sorry x.x I'm online as Sceptross now. Looks like your wondrous subbing prowess are being called upon for the GSC tournament and we are to be opponents! I'm GMT -5 and I'm guessing from conversations below that you're GMT +1? We've got to move quick so we don't hold up the tournament, but you said you couldn't battle until Tuesday. How do you feel about Tuesday at 3 PM for me and 9 PM for you? Hey there! I'm almost sure I won't be able to be here so early. Is it possible for you to play at around 11PM? Is that 11 PM in my timezone, or in yours? IE in your time are you requesting to battle at 11 PM on Tuesday night or 5 AM on Wednesday morning? I can manage either, so just let me know which. Sorry, I meant my time. Hi sceptross. 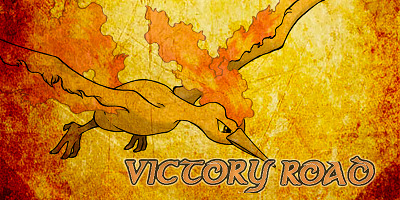 We need to play for Smogon RoA Olympics. The deadline got an extension to 06:00am EST / 12pm CET November 9th. Hi :) GMT +2 too. I need to play until Thursday in the afternoon. I'd rather play tomorrow or on Wednesday in the end of the day. tomorrow 10 pm how works? Unless something happens, it does. See you tomorrow! hi, we have to play for rby world championship. I'm gmt+8, when can you play? Damn, that timezone is always terrible for me xD I'm GMT+2, can you play at night, your time? saturday 12pm my time (midnight)? That's 6pm my time, seems good to me! Hey, when do you want to play for wcopp? I should be pretty available over the weekend. I think it is. Let's schedule for that time then. We're opponents in the RBY WC. I'm GMT +8 and can play tomorrow at 10 PM on Friday and Saturday. Probably not available on Sunday. That shouldn't be a problem for me. It's a deal then. Hey :) I recently moved to Spain (GMT +1) and it's still really difficult for me to know when I'm available. I should be available at night tomorrow and on Sunday though. Tag me/PM me on Discord if you see me online and we can play at that time/arrange something for the weekend.